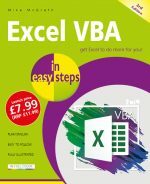 Microsoft Word 2010 builds on the strengths of the previous versions to make document editing easier, more logical and more powerful with many exciting new and improved features. As well as market-leading text manipulation, it allows seamless integration with Web technologies, much more powerful graphics manipulation and the ability to work effectively with long documents and multiple authors or reviewers. The user interface has been enhanced over earlier versions, clearly distinguishing between the Ribbon for working inside a document and the new Backstage view for managing files and settings. It is now possible to customise much more of the interface, tailoring the controls to individual requirements. Language and research features provide great help when working with business, academic and creative documents. The increasingly visual nature of Word means that a clear, concise and colorful visual reference guide is an invaluable tool for both newcomers and those upgrading from older versions. 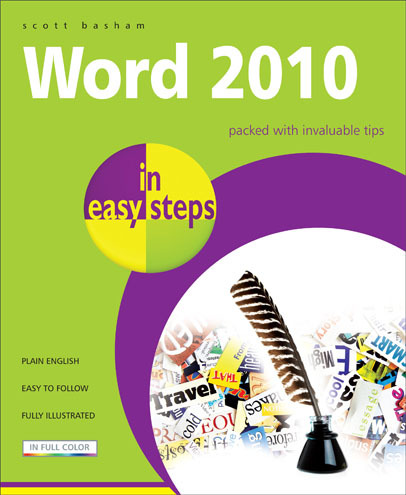 Word 2010 In Easy Steps meets this challenge head on with its thorough treatment of the full range of features using detailed pictorial examples and easy-to-follow explanations. Scott Basham has worked as an author, training consultant and software developer for 16 years. His experience of business training spans most of this time, and includes running a training department for a global software publisher. He has written and delivered both standard and customised courses for many clients including IBM, Sony, Compaq, Hewlett Packard and Deutsche Bank. Many of these are run on-site: mostly in the U.S. but also in Europe, Africa and the Far East. His time as a College and University lecturer has given him experience with a variety of training levels and requirements, as well as different styles and approaches to training. "Most books about software describe a new version of a package by comparing it with previous versions; this is unhelpful to those who are unfamiliar with earlier versions. The "In Easy Steps" series avoids this danger, producing well organised introductions, which are understandable to newcomers, and continue being useful for reference. By omitting all the unnecessary comparisons between software versions, they are much shorter and clearer than comparable alternative books. "Word 2010 in Easy Steps" is another excellent book in the series." Learn Word basics for free!